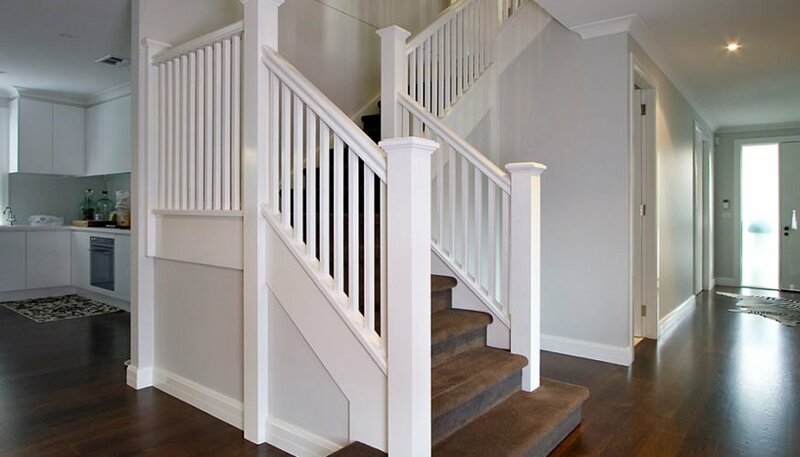 Also L Stairs can help somewhat with sound transmission between floors if the stairs are contained within walls. A support is typically required for the landing in a L type stair. Often this is built into the surrounding walls so it goes unnoticed. In modern dwellings however it is usually desirable to open up the space leaving the stair structure visible. In these cases the supporting structure can be visually minimized by taking advantage of the strength of steel to create slim supporting members. Through careful engineering, it is possible to eliminate the landing support all together.